Representatives from roughly 130 governments are converging on New York city today to sign the Paris Agreement that was reached in December, and the We Mean Business Coalition says that implementing that agreement will unleash more than $13 trillion in new investment – or $100 billion for everyone who signs. 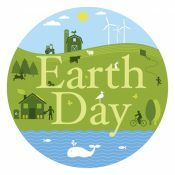 That’s just one reason this year’s Earth Day is completely different from all those that came before. 22 April 2016 | Houston is drowning and the Brazilian Amazon is baking – along with large parts of California – while average global temperatures seem destined to rise at least 1.5 degrees Celsius (3.6 degrees Fahrenheit) over the next century. That’s the threshold beyond which climate science gets foggy, and it’s gonna be a challenging hundred years, to say the least, but there’s reason to celebrate this Earth Day. In part, that’s because leaders from some 160 nations – among them 50 or so heads of government – are converging at the United Nations headquarters in New York to sign the historic Paris Climate Agreement that was adopted four months ago in Paris. That agreement will come into force as soon as 55 of them put their names on the dotted lines (provided they account for 55% of the world’s greenhouse-gas emissions). We’ll reach that threshold, and the only question is: which country will be the one to bring us over the top? That alone makes this year’s agreement a far cry from the “Kumbayah” events of Earth Days past, which were often high on symbolism but weak on substance – but it’s not just because so many political leaders have taken up the cause. More critical is the engagement of the private sector. Yes, some “good” companies like Unilever, Marks & Spencer, and Microsoft have carried the torch for years, but most have either ignored it actively or tried to kick it to the ground. That’s all different now. The meeting comes just two weeks after the world’s largest publicly-traded coal company, Peabody Energy, also became the 50th coal company to declare bankruptcy since 2013 – a downside that the We Mean Business Coalition says will translate into a $13.5 trillion opportunity as countries implement the Paris Agreement. Put another way: each country that implements the agreement contributes $100 billion to the pot, on average. At the same time, more than 100 global companies have endorsed US President Barack Obama’s Clean Power Plan – a cornerstone of the US contribution to the Paris Agreement. Nothing like this has ever happened before, and it all swirls around the Paris Agreement. In the new podcast, Bionic Planet, Ecosystem Marketplace editor Steve Zwick will be unpacking at least one hidden gem from the Paris Climate Talks each week. We’ll be harvesting material from Ecosystem Marketplace and presenting it in audio form, while further exploring the interaction between man and the planet’s living ecosystems. Be sure to check out our latest installment below. When climate negotiators signed off on the historic Paris Agreement in December, they opened the door for the kind of cross-border trading of greenhouse-gas emissions that world leaders like Canada’s Justin Trudeau and Ethiopia’s Hailemariam Desalegn see as a critical step in getting companies to slash greenhouse-gas emissions today. The agreement, however, doesn’t explicitly mention carbon markets at all, but instead assumes that countries will develop them domestically. It’s contribution is to recognize this and to say that countries can trade “Internationally Transferred Mitigation Outcomes” (ITMOs) among themselves to deepen the targets they’ve set in their Nationally-Determined Contributions (NDCs). The word “market”, he points out, is nowhere to be found in the agreement, and that’s OK. Formal negotiations won’t resume until the Bonn Climate Change Conference in late May, but there’s been a whirlwind of activity around two multilateral initiatives. 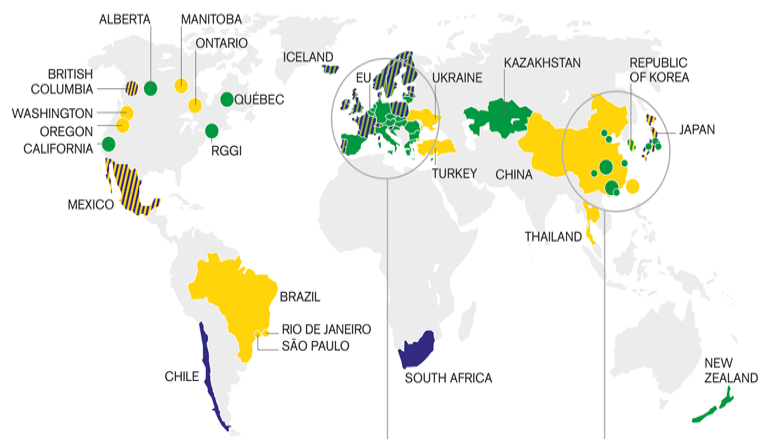 One is the Carbon Market Platform that Germany and Japan launched in October at the behest of the Group of Seven (G7) industrialized countries (Canada, France, Germany, Italy, Japan, the United Kingdom, and the United States). The other is a commitment to developing standards and guidelines for the environmental integrity of markets that New Zealand launched the day the Paris Agreement was adopted. Eighteen countries have endorsed the New Zealand declaration to-date, including Germany, which has reached out to New Zealand about pooling their efforts. “We are keen to talk with countries about advancing the development of the global market and crucially, putting in place the standards and guidelines for environmental integrity,” says Kay Harrison, who heads the New Zealand Environment Ministry’s climate initiative. Likewise, the G7 effort now finds itself with a much clearer mandate than it did before Paris, and it is in the process of updating its agenda to reflect that. 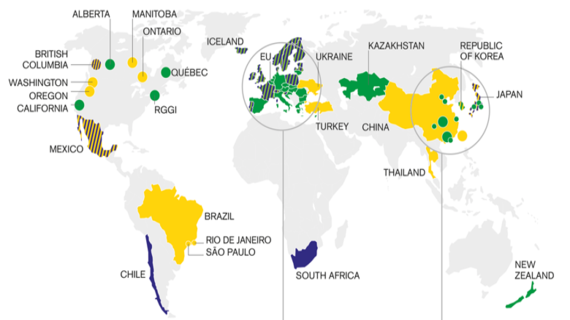 Article 6 of the Paris Agreement lays out two paths that countries can use to trade their emission reductions internationally, and the two paths are not mutually exclusive. The first is the “cooperative” approach, which lets countries coordinate trading among themselves, provided they follow accounting principles that pass muster with the United Nations Framework Convention on Climate Change (UNFCCC). On the ground, this might resemble the kind of market linkages that California and Quebec have forged (with Ontario soon to join) and that China and South Korea are thinking about. The second path, championed by Brazil, will be forged within the UNFCCC itself and offer a centralized mechanism for transferring emissions reductions. This centralized approach will likely build on the market infrastructure and experience of the Kyoto Protocol, so it pays to look back on it. The mechanism now known as “REDD” (for “Reducing Emissions from Deforestation and Degradation”) began percolating way back in the early 1970s, when physicist Freeman Dyson asked a simple question: “Can we control the carbon dioxide in the atmosphere” by planting trees that breathe in carbon dioxide and breathe out oxygen? His answer: yes, we can, but we’d still need to slash our industrial emissions to prevent catastrophic climate change. In the late 1980s, a policy analyst with the World Resources Institute named Mark Trexler realized you could sponge up even more carbon dioxide if you saved endangered rainforest rather than planting new trees, and the energy company Applied Energy Services (AES) worked with him to reduce their carbon footprint by doing just that.